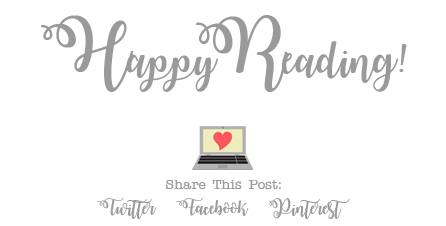 You know those books that you’ve had one your shelf for way too long, and it seems like everyone has read it but you? Ready Player One by Ernest Cline is one of those books for me. I think almost everyone I know has read this book, and while I have wanted to for a while now, I never managed to pick it up. Then I saw the trailer for the movie, and I decided that I would have to read the book as soon as possible. I am so glad that I finally read it. Everyone warned me that I would absolutely love this book, but I totally did not expect to love it as much as I actually did. It was great! Besides the world-building, the storyline for the book is completely engrossing as well, and there are a lot of great characters throughout the story, including the main character, Wade/Percival. I spent a good chunk of the book rooting for him, and for his friends as well. My favorite part of the story, hands down, is the 80’s nostalgia. (I’m an 80’s baby, if you haven’t guessed. *wink*) I LOVED this! So many of the games I played growing up where mentioned, as well as all the 80’s movies that I’ve never had a chance to watch, but totally plan to binge-watch as soon as possible. (This will be happening ASAP.) Put all these things together, and you have an excellent story to read. Though I own a physical copy of this book, I opted to listen to it in audiobook format, because I had so many people tell me that it’s a great to listen to. And, it’s narrated by Wil Wheaton, so there’s that. Wil did such an awesome job narrating the story. I totally spaced out many times while he read the story to me, and I could picture everything perfectly in my mind. They say the narrator definitely makes the story, and that’s definitely the case with this one. If you have the opportunity to check out this book in audio format, do it! 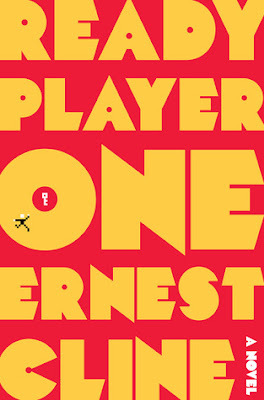 Overall; I didn’t expect to love Ready Player One by Ernest Cline as much as I did, but I totally do. I’m super excited to get my hands on his next book, Armada, which I hear is another pretty awesome read, and is apparently being made into a movie (or tv show?) as well. (Yes, I plan to listen to the audiobook for it too!) If you’ve not yet checked out Ready Player One, I strongly recommend that you do so, and I hope you enjoy the book just as much as I did. I loved the audiobook too. I can't wait to see the movie and I hope they don't change too much of the story.